From the privatization of the Valletta view by MIDI’s Tigné Point development to the obstruction of public space in Strait and Merchant’s streets by private enterprises, the thirst for profit appears to be rolling over any resistance in Valletta and beyond. However, this is only part of the story. Resistance to the overtake of public space by commercial interests also exists. These initiatives are bold and courageous, yet seldom—if ever—are reported in the mainstream media. Thankfully, not everything and not everyone in our capital city have succumbed to the egocentric rationale of profit-making; there still remains hope in the shoreline of the Grand Harbour’s edge, largely untouched by mercenary ventures, in the projects such as MUŻA that aim to foster community engagement, and in the residents’ active resistance to the abuse of common heritage by City Lounge. Isles of the Left has delved into the hidden politics of space. We discussed both the disappointing projects and the hopeful stories of resistance. This publication believes in the power of inspiring stories to encourage a different vision for the city—a vision that prioritises the common good of society over the thirst for profit. 1. Valletta: A Capital of Whose Culture? Until a few years ago, Valletta was regarded as two distinct things: one a marvel of Baroque architecture and the other—a swamp. One to be admired, the other to be disdained and vilified. One—its facades and the other—its ‘3rd class’ residents. Elegant ladies and gentlemen frequently lamented that ‘a city built by gentlemen’ did not belong to ‘the gentlemen’ any longer. However, il-belt has drastically changed in the past few years. What’s happened? How has the capital so closely associated with ‘slums’, ‘criminals’ and ‘ħamalli’ become trendy and barely affordable for an average earner within just a couple of years? The effect of gentrification brought on by the Valletta2018 handsome investment prospects is only a part of the bigger puzzle. The cultural climate of our capital is intriguing and complex. In fact, rather than having been revamped into a capital of culture, Valletta has become much more of a battleground of antagonistic cultures—and the winner has been the one that promises highest profit. Read more here. Certainly, the general public can still enjoy the gorgeous—and, crucially, tourist-friendly—view of Valletta from the Tigné Point bridge and the paved walkway that frames its posh residences and restaurants. But the presence of the residential and commercial complexes leave an undeniable impression on the experience—one feels as if they’re encroaching on somebody else’s land, even if they’re technically “allowed” to do so. “In reality, part of the panoramic view has been commodified as a commercial proposition within this intrinsically financially-driven, property-led regeneration scheme, with much of the capitalised view accessible to a few wealthy residents able to buy into it.” Read more here. When the criteria for the evaluation of spatial planning are set by influential private actors, space is valued only as a financial opportunity rather than a livable place. It’s evident how an approach to the city that does not comply with this model loses any priority on the agenda. Pascal Gielen, Professor of Culture & Politics Sociology at the Antwerp Research Institute for the Arts, hopes that the cities of the future would be Common Cities, where social class distinctions would not be prominent and where creative communities—together with other people—would reclaim parts of the city from commercial interests. Read more here. In her series titled “Valletta and Our Common Good”, writer and traveller Josephine Burden evaluated the flagship projects of Valletta2018. She also explored and mapped the activities which could help Valletta transform into a Common City. There are at least two practices that enable the aim of helping citizens to live well. First, good neighbourliness and the extent to which design and action take account of people. And second, the extent to which public space—the streets, squares, parks—enables human interaction. The legacy of Strait Street is mixed. The rash of commercial tables and chairs particularly around the junction with Old Theatre Street contradicts any legacy of public space as the lifeblood of citizen interaction. However, Strada Stretta also now offers creative and social venues that support civil action and innovative projects. Read more here. As we share the commons, we constantly negotiate our relationship in terms of the good that we hold in common. When one amongst us uses the commons such that the rest of us are disadvantaged, then our lives are diminished. Now that the market has been permitted to establish an abusive relationship to the commons and our institutions celebrate the right of Is-Suq to continue operating, I am discouraged about the options open to us in seeking to rectify the injustice. Read more here. In relation to Valletta Commons, MUŻA is a significant project, not least due to the planned openness to the community—by offering access from Jean de Valette Square through to Merchant St and by founding its curatorial practice in the stories of the community. The re-launch of the Museum of Fine Arts as MUŻA opens up another aspect of the Commons and that is the role of our shared culture in shaping the way we think. As long as we leave it to others to tell the stories, we abandon the Commons to the dominant voices. Read more here. We have yet to see if the growing chorus of voices seeking to strengthen the planning and enforcement system in Malta will have any impact. Some blame greed, corruption and collusion between government and business to enrich the few at the expense of the common good. Taking that position makes it difficult to identify possibilities for change. Strengthening enforcement may help in the short term but we have to examine the underlying system that assumes that people in power—whether politically or economically—have the right to use public space according to their own needs rather than as a shared resource for us all. Read more here. This project adds another dimension to Burden’s concept of the commons—the criterion of process that takes account of the common good. She does not subscribe to the notion that the end justifies the means but she does hold that good process is more likely to lead to good outcomes. Genuine community consultation showcased by the Valletta Design Cluster gives promise of an end that will enhance Valletta Commons. Or perhaps the Commons may be considered as process rather than fixed product. Read more here. Outside the walls of the city ‘by and for gentlemen’ lies a boundary space where ordinary people have more say in shaping the way we share the commons. The Grand Harbour edge of Valletta outside the walls has not yet succumbed to commercial exploitation. Perhaps it is the sea and the ferocious power with which she batters the exposed headland that will guard this part of Valletta for the Commons. Read more here. Although this publication focused on Valletta in the past months, we have a keen interest in learning about initiatives that helped to safeguard common good from the profit-making interests. 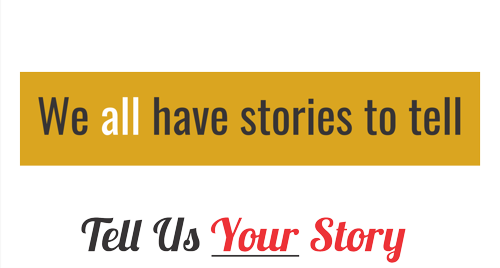 We encourage our readers to get in touch and share their stories.